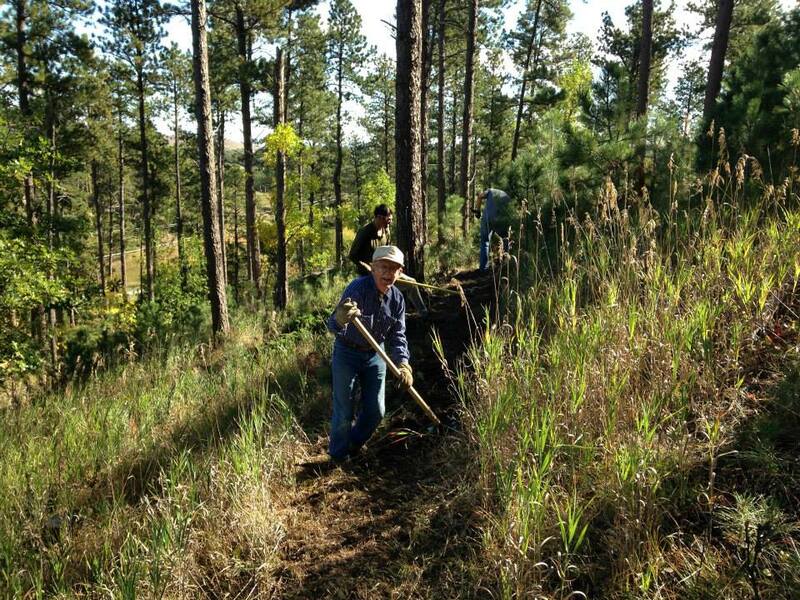 Part of the mission Black Hills Trails continues to pursue is connecting our local communities to each other and connecting our communities to points of interest with beautiful ribbons of trail. 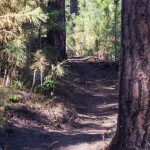 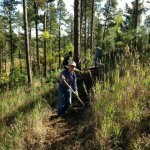 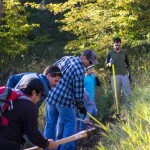 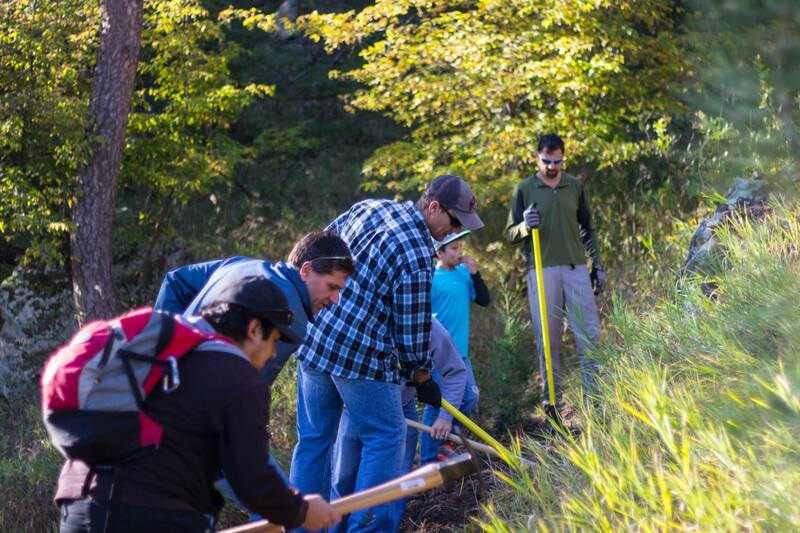 A great deal of progress was made toward that goal last weekend with two successful volunteer trail build days. 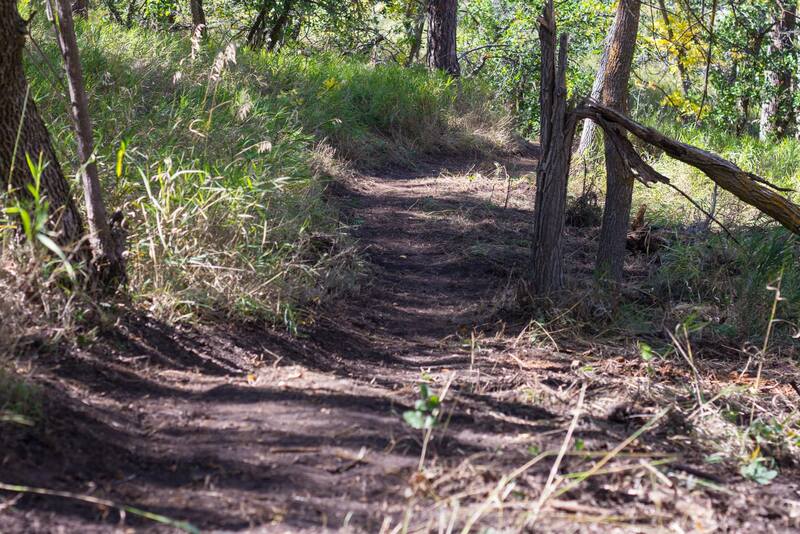 A small volunteer crew turned out in Oak Park in Whitewood on Sunday morning and was able to build the final remaining segment of trail forming a loop out of and back into the park. 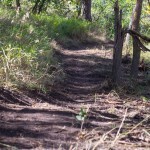 The only projects remaining before the main loop of the trail in Whitewood can be considered complete is to build one final corner and construct a small bridge. 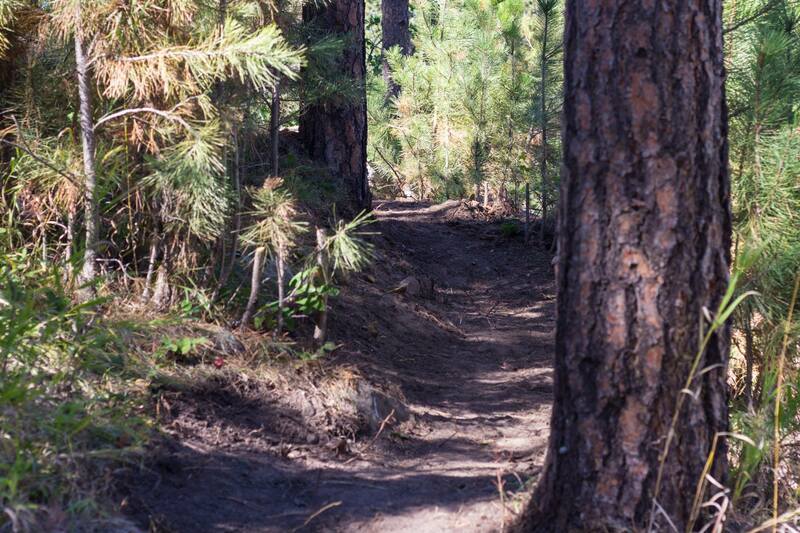 Calling this project complete in the very near future will be a major milestone for the residents of this small Black Hills town! 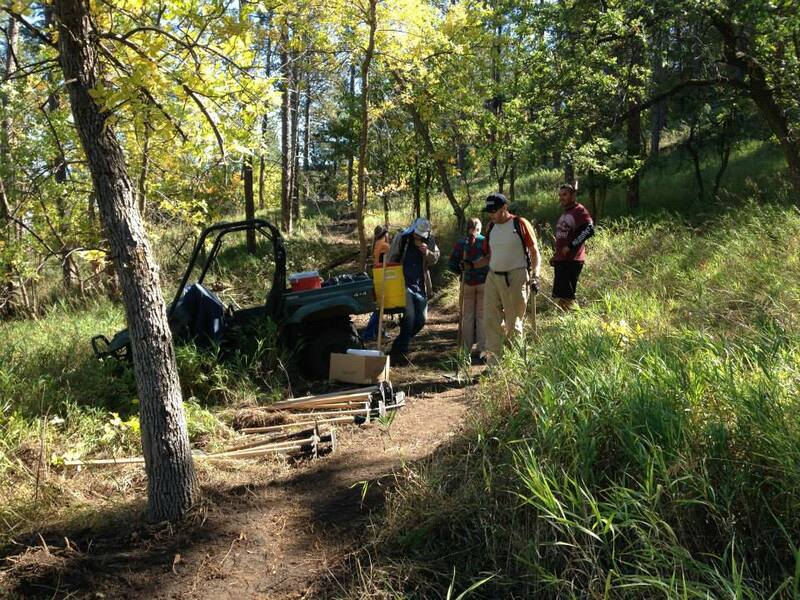 On Saturday morning in Sturgis, 17 volunteers labored over 75 hours combined to finish almost 1000 feet of new trail. 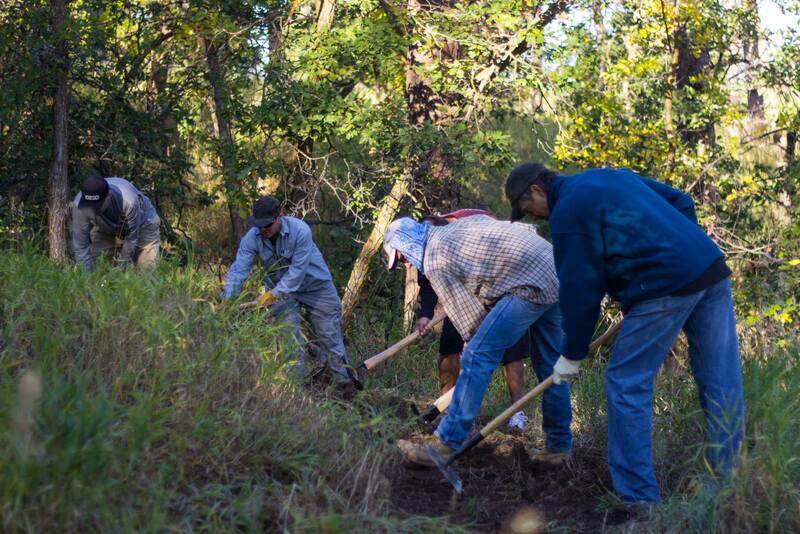 This trail will eventually stretch southeast from Lions Club Park and the City Cemetery onto the Fort Meade Recreation area and access existing trails there. 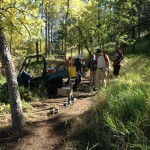 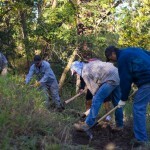 The next scheduled volunteer build day for the Lions trail in Sturgis is Saturday, October 12 with an 8:30 AM start time.